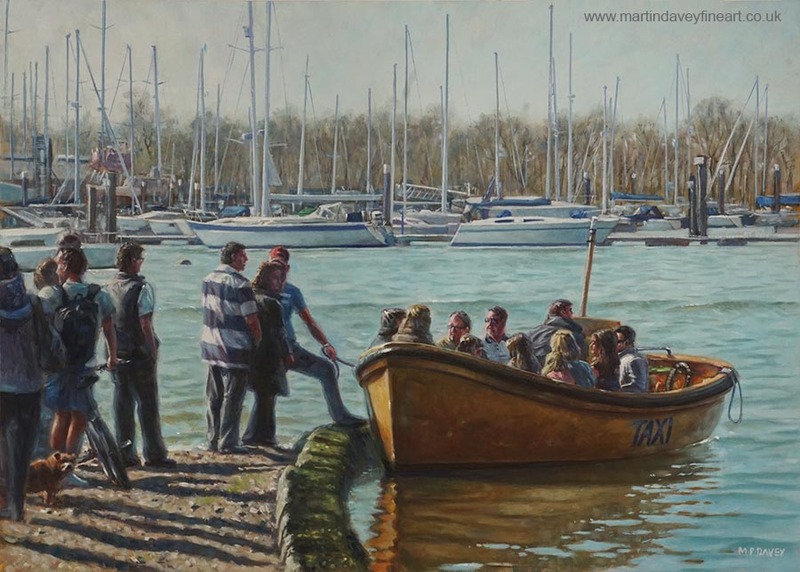 On a sunny summers morning passengers can be seen boarding a river taxi on the Hamble river, Hampshire, on the south coast of the UK. It typically operates between the small village of Hamble and the village of Warsash on the opposite side of the river, and it is thought that similar 'taxi' services have been running for over a 1000 years between the two points. The boat also carries dogs and bicycles. The painting is done in oils on mounting board. The image size is 28” x 20” and was painted in late summer 2018.